When you think of a siren, what image comes to mind? Of course I’m not talking about the emergency sirens that make our German Shepherds howl and let us know when there may be tornados. I’m talking femmes fatales—the Greek myth of the siren. Do you think of the three enchanting water-soaked women from O Brother Where Are Thou who sing and lure the men into unconsciousness? Or do you think of the fish-tailed seductresses from Pirates of the Caribbean who are both beautiful and dangerous? Today, the words “siren” and “mermaid” are often used interchangeably. But the truth is, the ancient Greek myth of a siren was nothing like that. The sirens have been linked to various locations, both real and imaginary, in and around Italy and Greece. But popular myth seems to have pinned them in the Tyrrhenian Sea off the coast of Sorrento. Legend has it the sirens would tempt sailors with their beautiful song and drive them to shipwreck on the rocky shores of the islands in the sea. Some depictions have even described men leaping haplessly from their ships into the waves of sea after the sounds of the sirens’ voices. One of the first—and most famous—appearances of the siren was in Homer’s Odyssey, written in the eighth century BC. In his epic poem, the mention of the sirens is far briefer than in modern tellings. In his tale, Odysseus was cautioned about the allure of the siren’s song and couldn’t resist hearing it. He had his crewmen plug up their ears with wax so they would not succumb to the sirens, and he had himself tied to the mast of his ship. As they sailed past, the sirens promised Odysseus that if he came to them, they would tell him everything he wanted to know about the Trojan War. He begged his crew to untie him, but they just kept sailing, and Odysseus became the first to hear the song of the siren and live. It’s unclear why or how, but somewhere along the way, mermaids and sirens got conflated. Of course, mermaids have always been a part of Greek mythology, too. Some of the first stories are from ancient Syria, but in Greek mythos, the mermaids were the daughters of Triton. There is contradictory information about what the powers of the mermaid were, and perhaps this is where the conflation of the mermaid and the siren came into play. Some said that they were terrible and destructive—that they only wished for sailors and their ships to crash. Still others said that they were helpful creatures and would calm the waters if the sailors would answer their questions. But the image of the mermaid is iconic. She is always depicted as a beautiful woman with long, flowing hair and the tail of a fish. 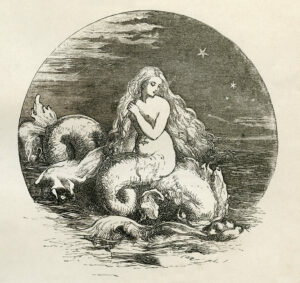 In the seventeenth and eighteenth centuries, there was an influx of mermaid iconography, which could also account for the fusion of the two myths, especially since both are so closely tied to the sea. (There is even a type of manatee—or sea cow—whose technical name is “Sirenia.”) It may be that these two myths are inextricably linked. 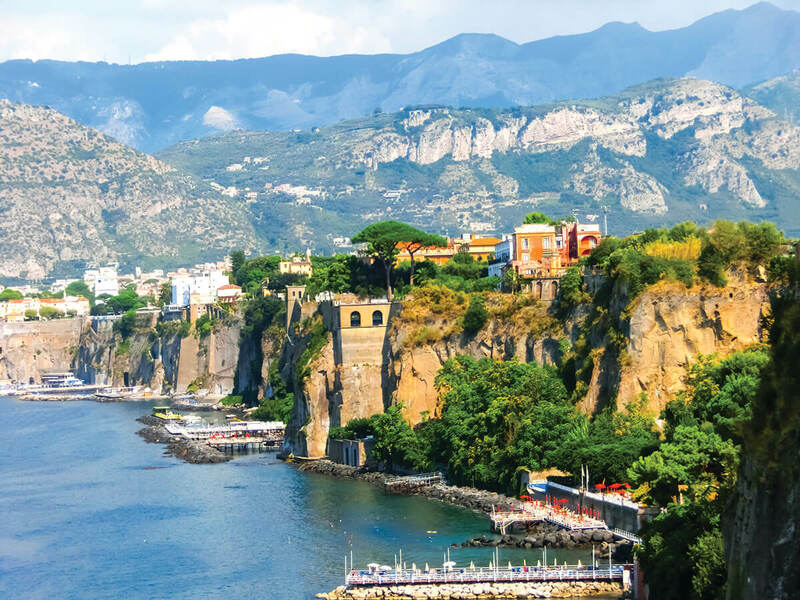 Whatever the case may be, the islands off the coast of Sorrento are truly beautiful, and it’s no wonder that the ancient Greeks mythologized them. 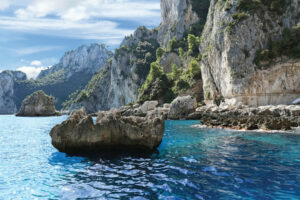 If you’ve never been, you can check out our Mediterranean Pathways cruise, which makes a stop in Sorrento and Capri. The Mediterranean Pathways cruise even sails on the ship Sirena, which takes its name after—you guessed it—the siren! You probably won’t see any sirens or mermaids on your trip, but it won’t hurt to keep an eye out!